Mohamed Salah has signed a new long-term contract at Liverpool. The 26-year-old Egyptian has committed his future to the club after a remarkable debut season on Merseyside. Having signed from Roma last summer, Salah scored 44 goals in 52 appearances - the second most prolific season in Liverpool's history. His Golden Boot winning tally of 32 Premier League goals were a record for a 38-game season and he was named the PFA Player of the Year and the Football Writer's Player of the Year. 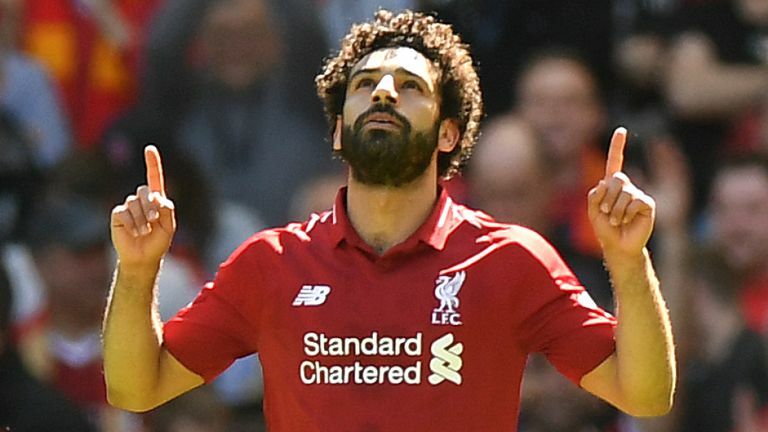 With Salah to the fore, Liverpool reached the Champions League final, where they lost 3-1 to Real Madrid, and finished fourth in the Premier League. And the club have now ended any speculation about Salah's long term future - although they have not disclosed the length of the new deal. Liverpool boss Jurgen Klopp said on the club's official website: "I think this news can be seen for what it is - rewarding a person who performed and contributed greatly for the team and the club last season. "It demonstrates two things very clearly also - his belief in Liverpool and our belief in him. "We want world-class talent to see they have a home at Anfield, where they can fulfil all their professional dreams and ambitions. We are working hard together to achieve thi. "Equally, our commitment to him says we see his value and want him to grow even more and get even better within our environment. "The key thing to remember is the best thing about Mo is that he never sees himself as being more important than the team or anyone else within it. "He recognises his teammates and this club helped him achieve individual success last season. He sees the individual awards come because he is part of something bigger that is special. "Mo reflects where we are as a team, I think. Last season was special with many special moments - but we want more. "We want to be more successful and achieve more together. As the supporters sang so loudly, 'we're never gonna stop'.